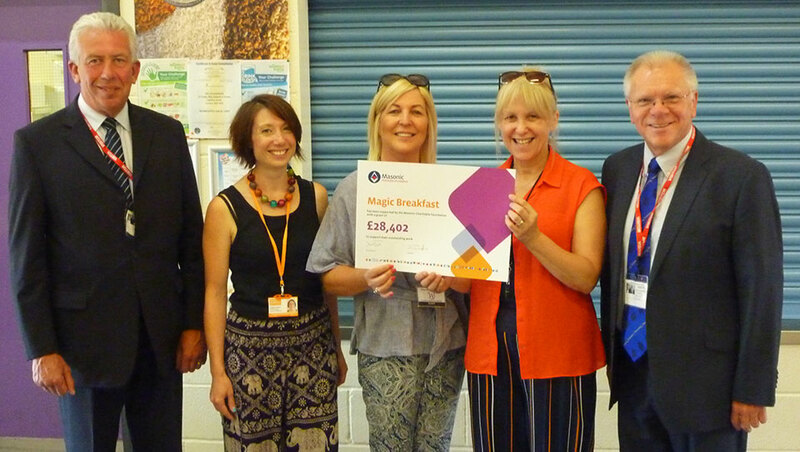 The national charity, Magic Breakfast, has received over £28,000 from West Lancashire Freemasons through an award from the Masonic Charitable Foundation. The grant will enable around 78,000 healthy and nutritious breakfasts to be provided at six schools across the north west in the coming year. 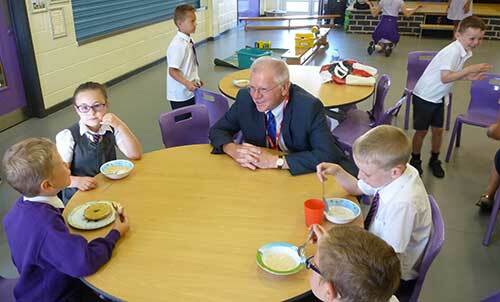 Derek Parkinson chatting with some of the breakfast club children. The donation gets a big ‘thumbs up’ from all the children, especially the tall one in the middle! The Masonic visitors had an opportunity to see just how many children are taking advantage of the opportunity to start the day with a healthy breakfast and chatted with both the children and staff about the initiative. It was obvious from the outset that for everyone involved the breakfast club plays an essential role for many children, not just as a way of getting a meal but also as it gives them a chance to socialise and interact with their peers. 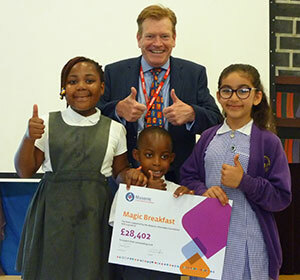 More information about ‘Magic Breakfast’ can be found by following this link. Pictured from left to right, are: Mark Matthews, Emily Frezza, Margerita and Joan (Whitefield School staff) and Derek Parkinson.